I have a very good experince at living at Edlandria appartments.submitted by Solomon A. - Dec 03, 2018 |Recommended: YesI like living at Edlandria apartments because of excellent customer service and it's clean, safe, and it has enough parking spots. 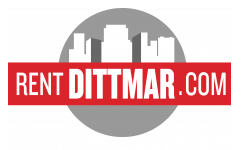 Great value Good locationsubmitted by Justin G. - Nov 26, 2018 |Recommended: YesAfter looking around at several other options, Dittmar Edlandria was the best value. I moved here a year and a half ago and have not regretted it. A reasonable price with utilities included, good location with access to buses, Van Dorn Metro within walking distance, local shopping in easy reach, good parking availability, and a storage location for bicycles. The resident portal online transition could have been better by providing some guides to identify that some optional fields like company are not an optional, but overall it has been a good experience. The best place to live submitted by Tihetna D. - May 18, 2018 |Recommended: YesThis is a wonderful place to live from the apartment to the people just wonderful I will recommend them to those who are in search of a apartment,I will definitely tell them to visit Eldandria also I really want to say thank you for Noura and Jessy for your persistence follow up on all of my needs to make my life easier and make me feel comfortable to make My self at home. Best place to live in Alexandria. submitted by Aliya A. - May 12, 2018 |Recommended: YesIt's like living in your private home with all the utilities and Amazing and Professional staff and execelllent maintenance. Only reason I will ever move out if I buy my own place till then I'm enjoying my stay in these well maintained homes. No question about these apartments or the management. Very highly recommended submitted by Sadiqullah S. - Feb 02, 2018 |Recommended: YesI have been living here for over a year now and have not come across any issue with the management or the apartments itself to give me a second thought about moving out. I referred a few friends here and they are pretty satisfied and happy with everything.